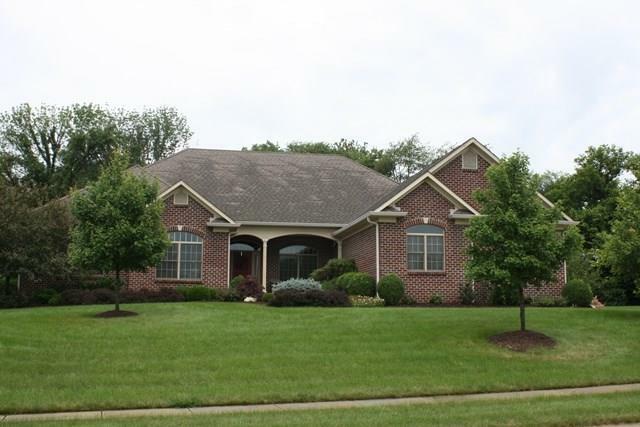 Absolutely beautiful brick ranch home with open floor plan & all the extras! Brazilian cherry hardwoods, granite counters, stainless steel appliances (Thermadore 6 burner gas range & commercial grade exhaust hood), & custom cabinets & shelving. Master bedroom has large master bath with steam shower & huge walk-in closet. Daylight basement with rec room, home theater room, craft room, bedroom, & full bath. 24x24 screened-in porch with cathedral ceiling looks out onto private back yard. Directions:From US 36 in Danville go north at light at Kroger onto old US 36 - left on Terry Kirtley Blvd beside hospital - left at Sycamore to Wexford.